After commissioning and trimming, the capacity of the new facility be 50-80 million trays per year, depending on the size of trays produced. April 9, 2019 - Rottneros Packaging announced that its new moulded pulp products facility in Sunne, Sweden, began production in early-2019. The total investment in the new plant amounts to approximately SEK 45 million and mainly consists of a tailor-made system for preparing pulp, along with four machines for the production of trays. The latest machine was purchased at the end of March and will be operational by the end of 2019. 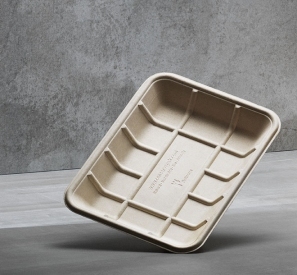 The trays are primarily intended for food and as a replacement for disposable plastic articles, but also for electronic products and other components. The products can be manufactured with and without barrier, are made of renewable Swedish forest raw material, and are completely free of PFAS. The products are recyclable as paper packaging.